Installation of YOUR BOARD Series, bent plywood, scratch tape, 2011. 16” x 12” x 60”. C3PO, gilded bronze (10K Monarch), 2008. 24 x 16 x 6 in. / 61 x 40.6 x 15.2 cm. SMOKE CLOUD, 2014. Architectural glass, silver nitrate, ultraviolet rays, walnut. 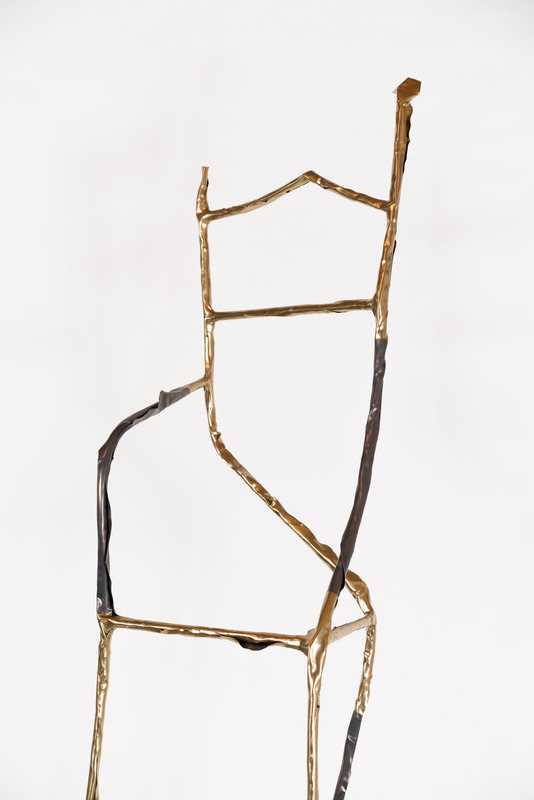 Simon Preston Gallery, November 2014. 15. C3PO, gilded bronze (10K Monarch), 2008. 24 x 16 x 6 in. / 61 x 40.6 x 15.2 cm. Studio: YOUR BOARD, bent plywood, scratch tape, 2011. 16” x 12” x 60”. SMOKE CLOUD, 2016. Architectural glass, silver nitrate, ultraviolet rays, walnut. Galerie Christophe Gaillard, Spring 2016. 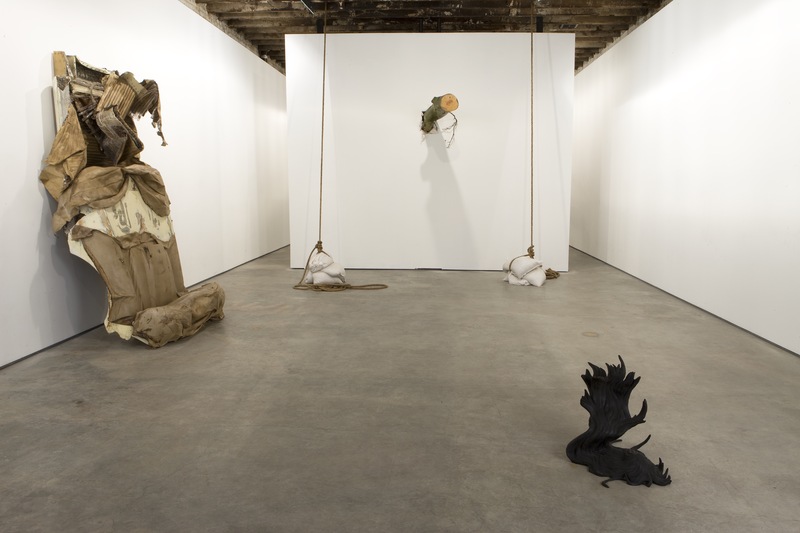 Installation of “Michelle Lopez: The Violent Bear It Away”, Simon Preston Gallery, 2009. 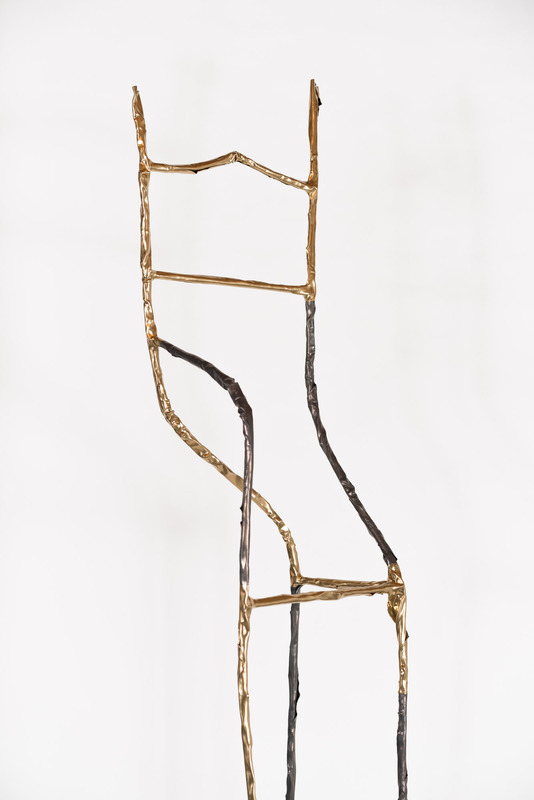 Installation of “Vertical Neck”, epoxy clay, automotive paint, copper, 2011. 6” x 180” x 79”. 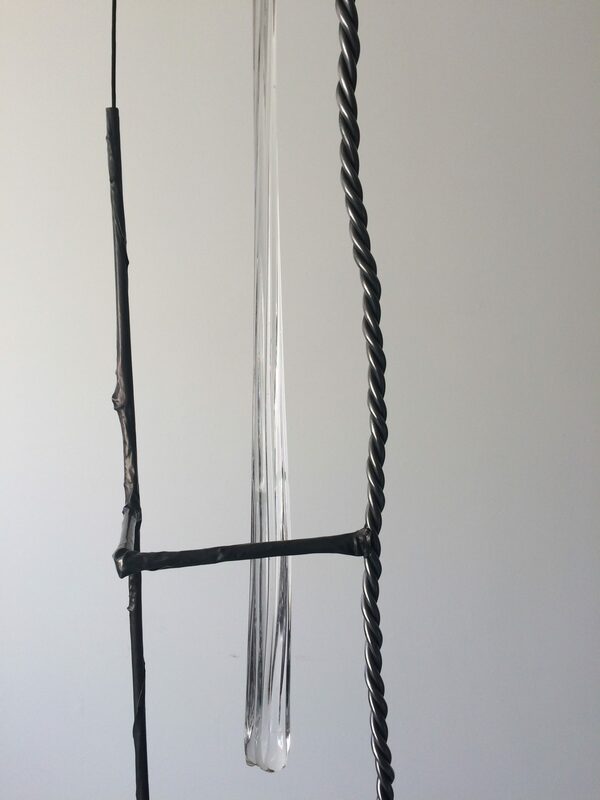 FLAG Series (1), 2014, Pure Lead, steel, 96” x 38” x 27”. 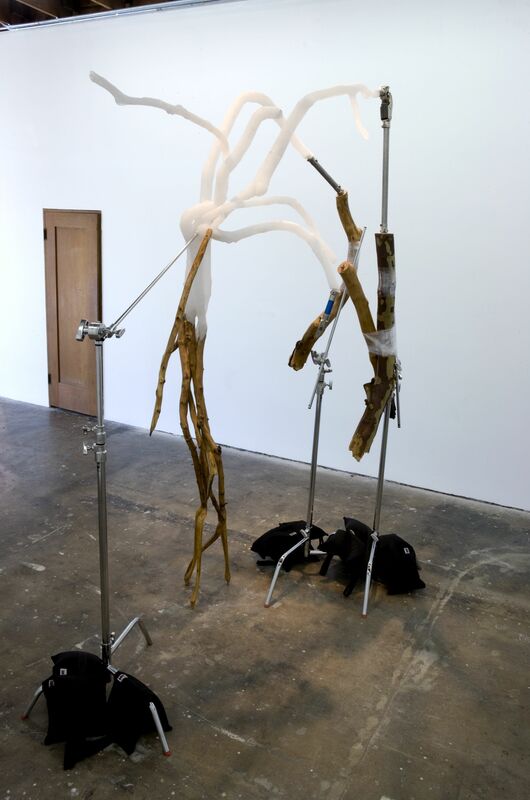 “Angels, Flags, Bangs”,curated by Amy Smith-Stewart, The Aldrich Contemporary Museum of Art. 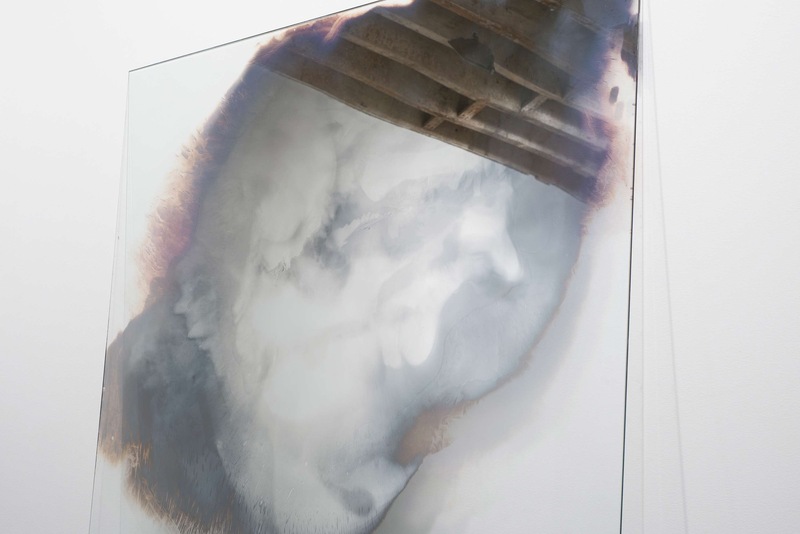 SMOKE CLOUD, Silver Nitrate, Architectural Glass; “Chandelier”, lead crystal, Galerie Gaillard, Paris, 2014.